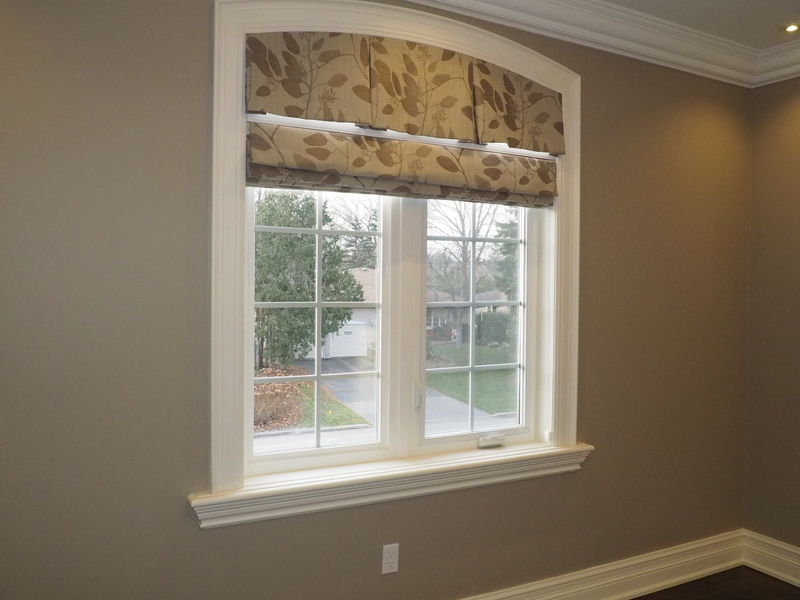 With more interesting shape windows for new homes these days, finding a custom window covering solution that works can be difficult. 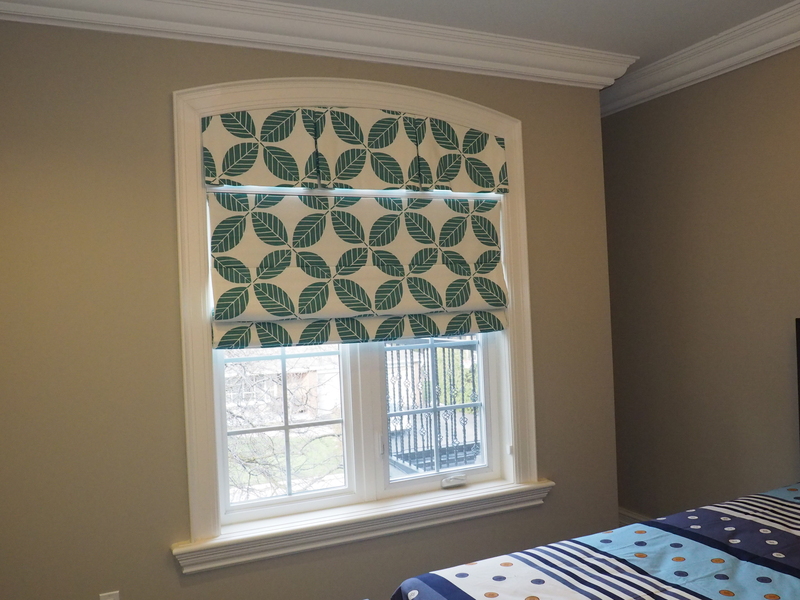 This is where Trendy Blinds expertise can help. 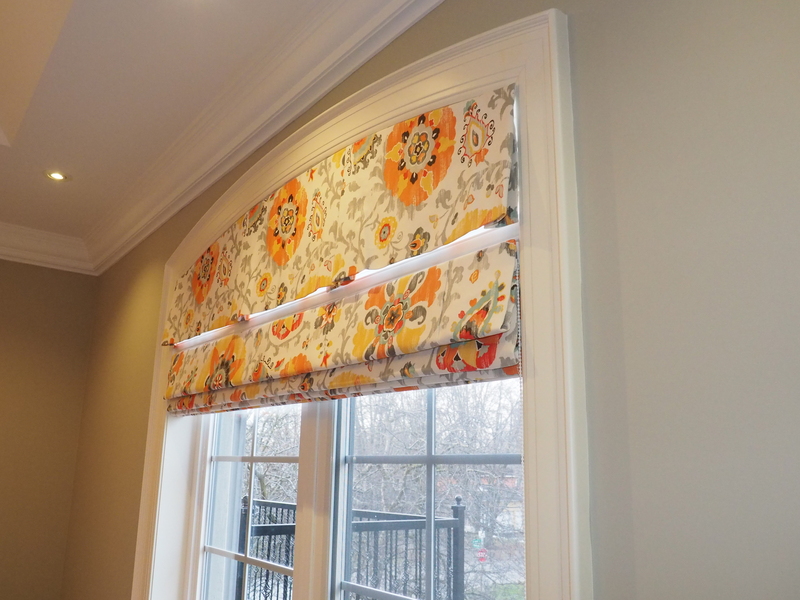 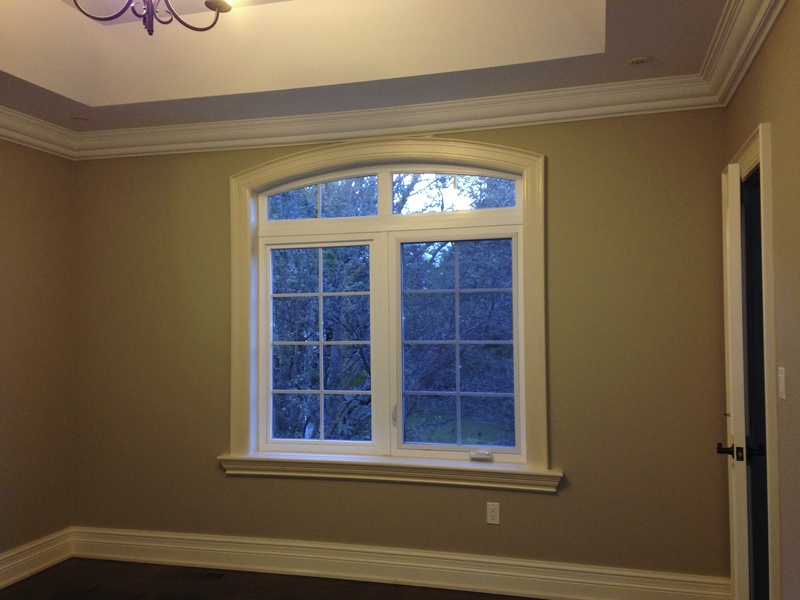 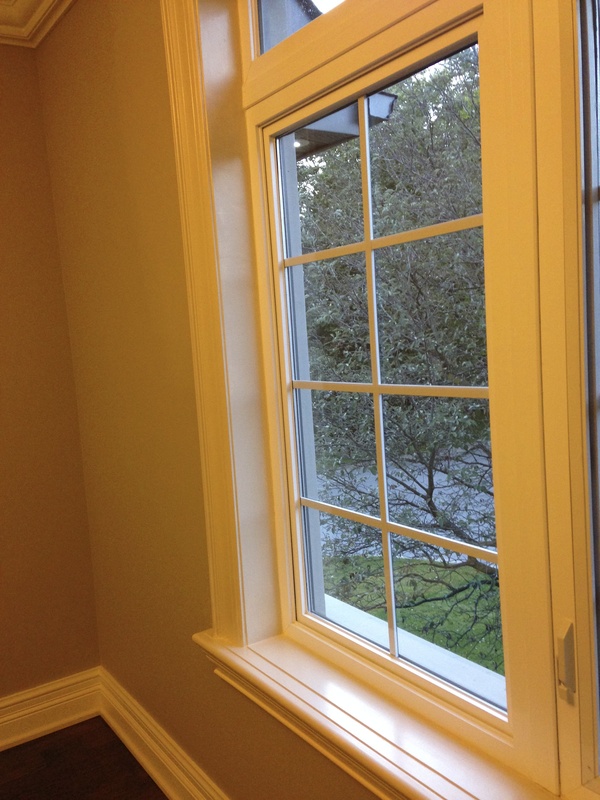 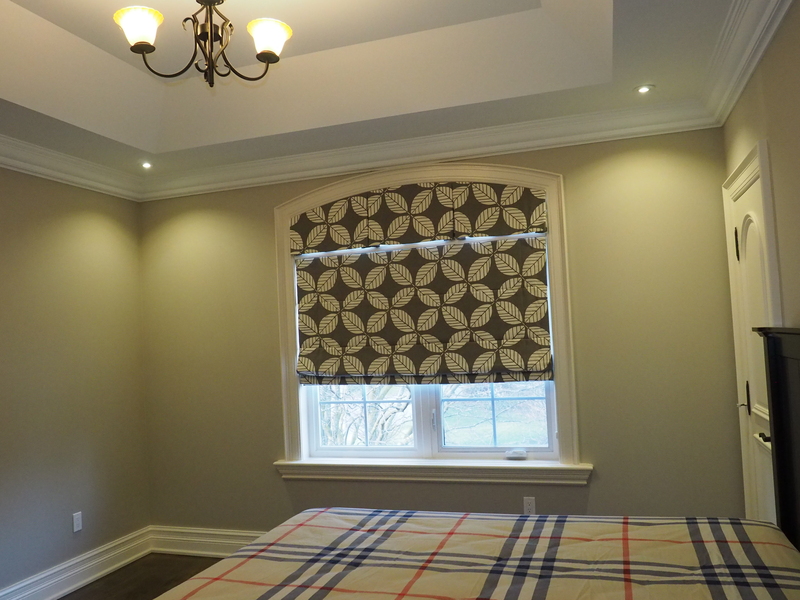 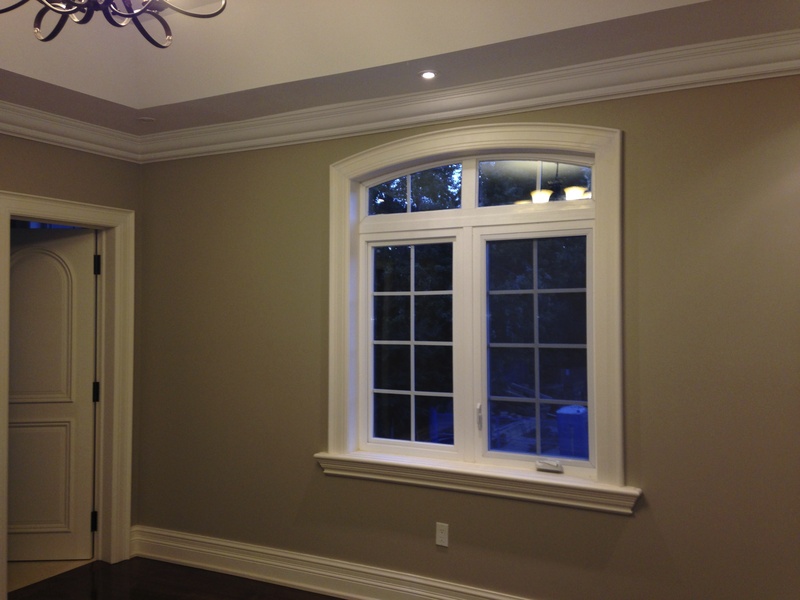 Below is a recent install at a custom home in Unionville, Markham where the customer has 4 bedrooms with arch windows. 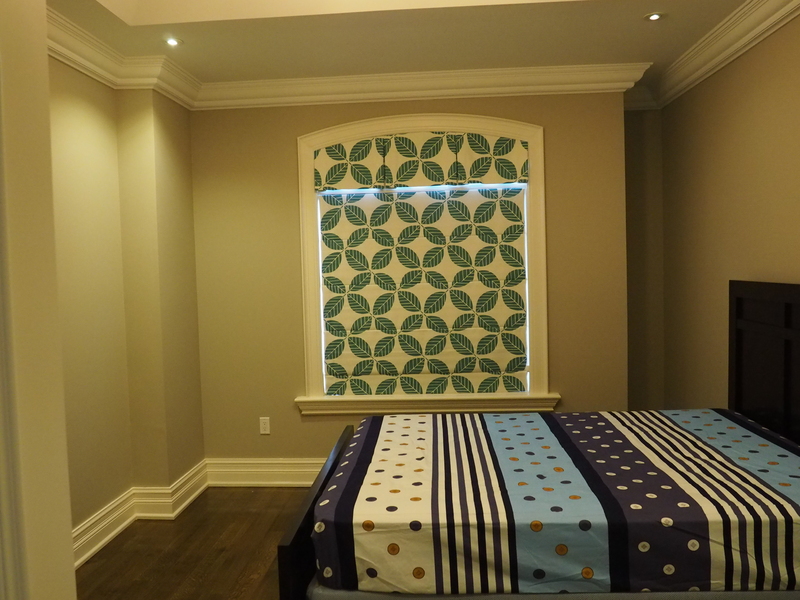 They wanted room darkening / blackout, interesting fabric pattern and a a clean, tidy appearance on the window. 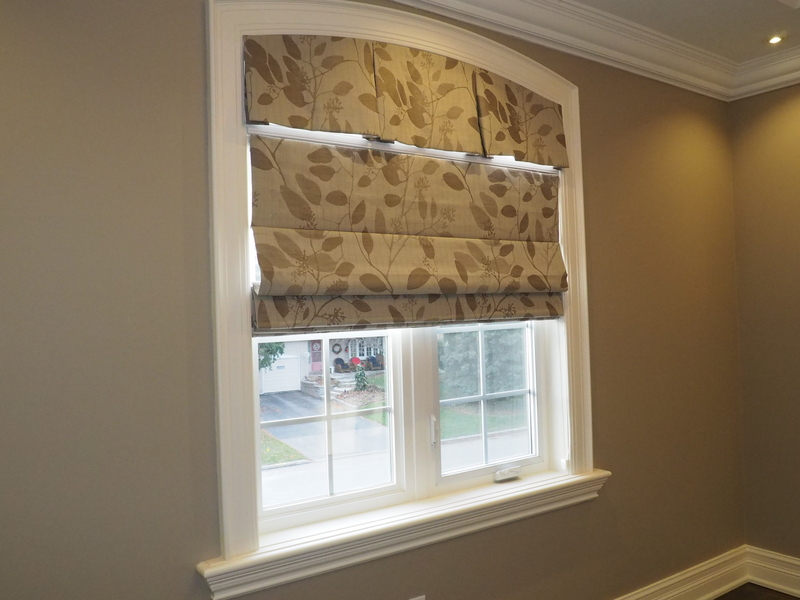 We went with a pleated Valance and tucked blackout roman inside mounted in the window. 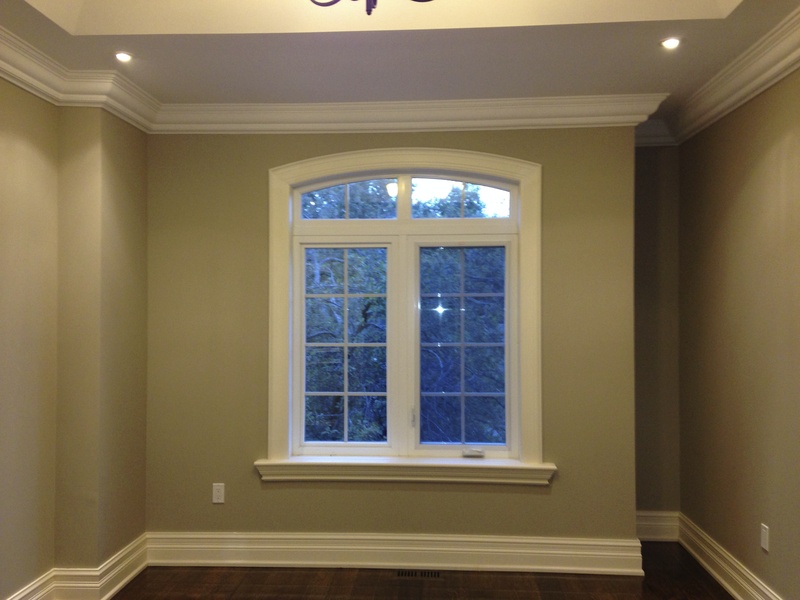 We added a P-Shelf to provide mounting service for the roman. 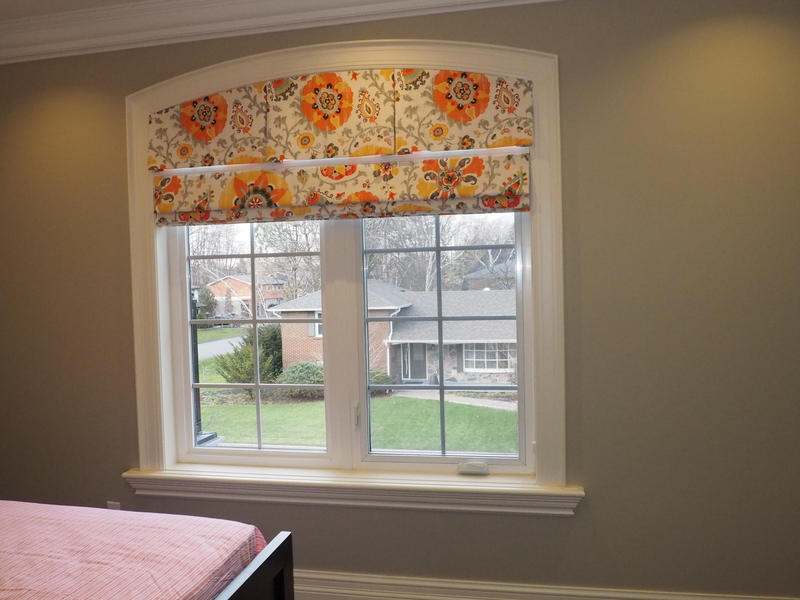 The final solution, met both the functional needs as well as add colour and interest while still showcasing the nice shape of the window.